Should I try the new FDA approved weight loss drug? I heard about a new drug that can help people lose weight. I’m overweight. Should I give it a try? You’re likely referring to Contrave, a drug the FDA approved in September of 2014 to help people lose weight along with a reduced-calorie diet and exercise. Contrave combines two drugs, naltrexone and bupropion. These drugs are already approved for other uses. Naltrexone is used to help kick alcohol and narcotic addiction. Bupropion is used to treat depression and seasonal affective disorder. Many people also take bupropion to stop smoking. Neither naltrexone nor bupropion by itself has been approved for weight loss. Why should the combination of these drugs help with weight loss? It’s likely that the drugs act on impulse, reward and/or hunger centers in the brain to decrease appetite and dampen the reflex to seek food for comfort. Not everyone who is overweight needs a weight loss drug. Contrave is approved for adults who are obese and for certain people who are overweight. Obese is defined as a body mass index, or BMI, of 30 or higher. Overweight adults have a BMI between 25 and 30. Overweight adults should only take Contrave if they also have at least one other weight-related condition, such as high blood pressure or Type 2 diabetes. 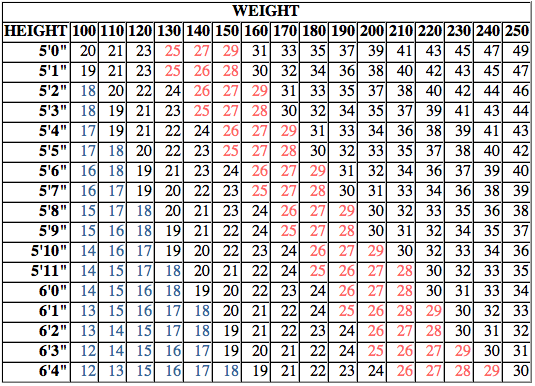 If you don’t know your BMI, you can look it up on the BMI table below. The FDA approved Contrave based on the results of several clinical trials that included 4,500 overweight and obese men and women. All were treated for one year. In one trial of people without diabetes, 42 percent of those who took Contrave lost at least 5 percent of their body weight, compared with 17 percent of those who took a placebo. In a trial of people with diabetes, 36 percent of those taking Contrave lost at least 5 percent of their body weight, compared with 18 percent of those taking a placebo. I am reluctant to get enthusiastic about a new medicine until some time has passed. The 4,500 people who participated in studies is a pretty large number. However, it is a very small fraction of the total number who are likely to be prescribed the medicine. Rare but serious side effects could have been missed in the early studies. Also, about half of the people in the studies saw no benefit. If you take the medicine for 12 weeks and see no benefit, it’s wise to talk to your doctor about stopping it. Could my daughter have anorexia?